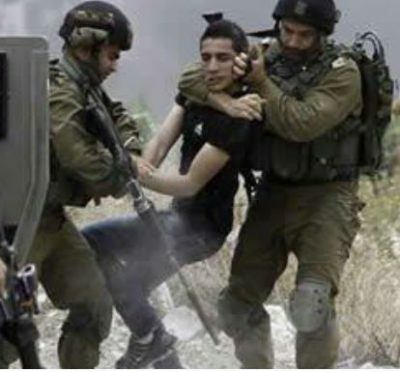 Israeli soldiers abducted, on Wednesday evening, a young Palestinian man, and assaulted another, after the army invaded the al-Khader town, south of Bethlehem, in the occupied West Bank. Media sources said dozens of soldiers gathered at the main entrance of the town, and attacked Palestinian protesters with live fire, rubber-coated steel bullets and gas bombs. They added that the soldiers abducted a young man, and took him to an unknown destination, in addition to assaulting and wounding another. In related news, many army vehicles invade Kifl Hares town, in Salfit governorate in northwestern West Bank, and closed all its roads to allow groups of colonialist settlers to visit ecological sites.